This utility allows you to create student bills for different levels, different classes and different fee types/groups for example Admission fee, PTA dues, Boarding fees etc. 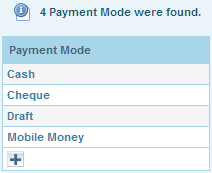 Students Payments allows you to make payments for students, Receipts can be printed right after making payment. Receipts can also be printed at anytime after payment. 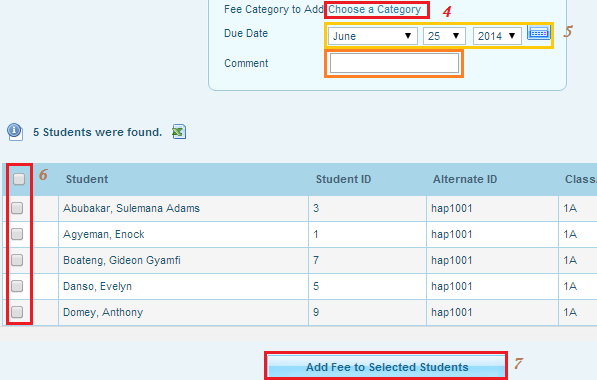 Mass Assign Payments allows you to make payments for students in a situation where you have more than one student paying the same amount, Receipts can be printed right after making payment. Receipts can also be printed at anytime after payment. Note: If students are not paying the same amount use “Student Payments” option. 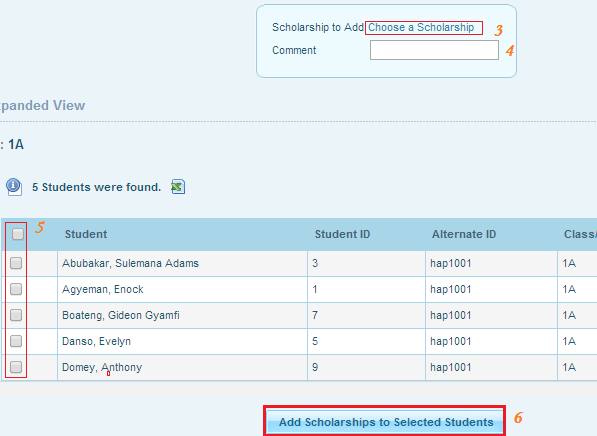 This option allows you to create and manage scholarships and Grants of any kind. 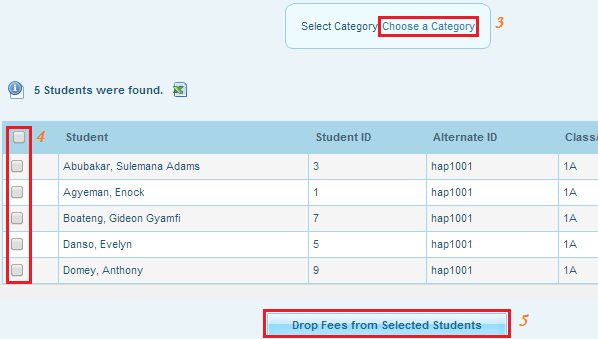 You may also delete scholarship or Grant from this interface, before you delete scholarship or Grant ensure that no student is benefiting from the scholarship or grant you are deleting or else Hapasis will prevent you from deleting such scholarship or grant. Mass Assign Scholarship or Grant allows you to allocate scholarship or grant to students benefiting from scholarship or grant Using this option you can assign scholarship or grant to number of selected students . This utility allows you to print Students balance report for any number of students. Perform your search criteria in the “Find a Student” working area and click on “Submit” button. (More information on how to use Find a student)You can search for students who are enrolled in a specific course by clicking the “Choose” link next to the “Course” search option and choosing a course from the popup window that appears. Before printing the report cards, you must select which marking periods to display on the report card by checking desired marking period check boxes. The report cards will be automatically generated in a printable PDF format when you click the “Create Students Balance for Selected Students” button.